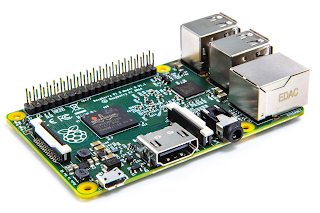 I was recently loaned a Raspberry Pi 2 from a friend and I immediately dove in and started playing around. Of course, as is always the case, when you start fiddling about with something new, you're almost guaranteed to mess something up. In fact, I have done just that one at least 2 occasions. In my case, the first boot failure came after I updated my initial Raspbian installation and the second after I tried to choose the maximum overclocking speed for my Raspberry Pi. In both cases, the Raspi started to boot but then hit an issue when loading display drivers or something around there in the boot cycle. After the first failure -- since I hadn't done much configuration of software installed, I simply rebuilt the SD Card and started over. On the second, more recent, boot failure, I really didn't want to start all over again, so I looked for some additional remedies. Since the Raspi wouldn't boot, there was no direct way to alter the configuration files to reset the overclocking setting and safe HDMI settings which I hoped would put things back to right. Thankfully, you can pop out the SD Card and mount it directly on your local PC where you can edit the config and then re-install it in the Raspi. The /boot partition on the SD Card is set up in such a way as to allow it to mount on and system that can read FAT32 or xFAT partitions. Changing the configuration settings mentioned above got me back to a bootable system where I could then re-configure it. Later after some research, I discovered a safe boot keystroke (Hold left shift on the keyboard during Boot) that specifically disables the overclocking option in the config.txt file. A more difficult safe boot can be performed by shorting pins 5 & 6 on the P1 header. 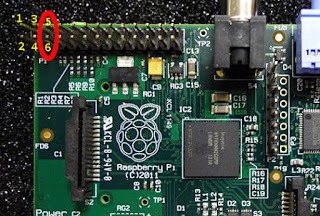 This takes some knowledge and car, though, or you can damage your Raspi system. See this discussion on Stack Exchange for more information.